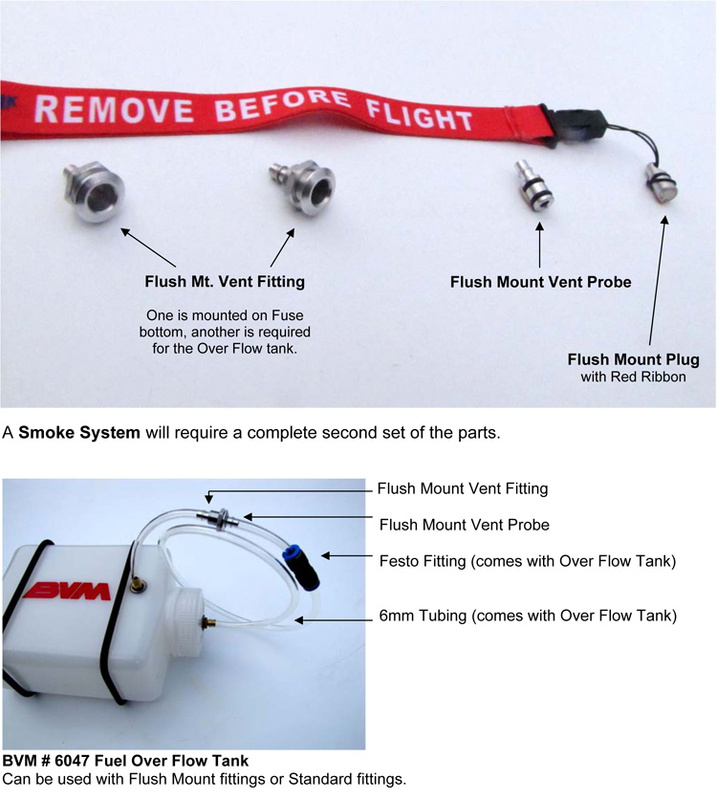 Includes: 2 Hi-Flow Flush Mount Vent Fitting, 1 Flush Mount Vent Probe, and 1 Flush Mount Plug with red ribbon. Includes: 2 Standard Flush Mount Vent Fitting, 1 Flush Mount Vent Probe, and 1 Flush Mount Plug with red ribbon. Be sure that the fuel "cut off" valve in the model is "OFF". The Fuel “In” tubing (6mm) that goes to the U.A.T. should be long enough to extend out of the model. Plug the Flush Mount Vent Plug from the Over Flow Tank into the Vent fitting on the bottom (left or right side) of the Fuselage. 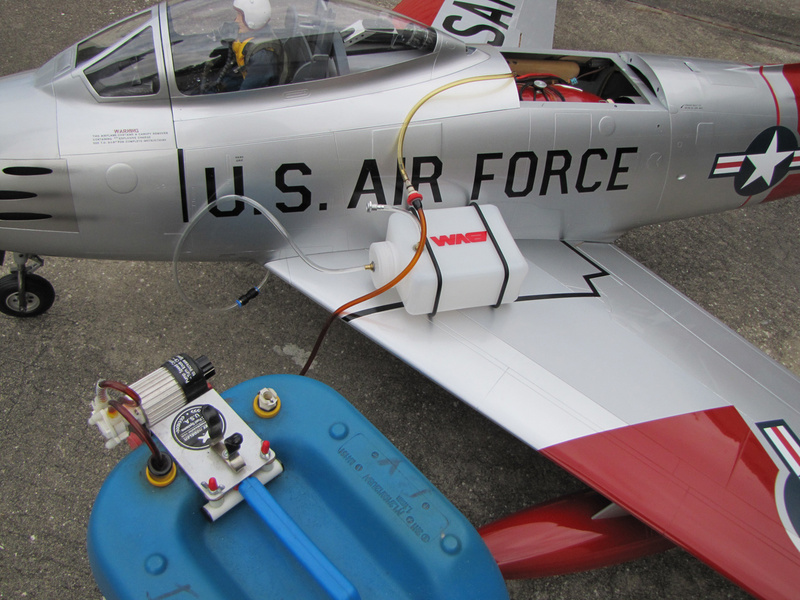 Attach the Fuel Can fitting to the Fuel “In” Line. 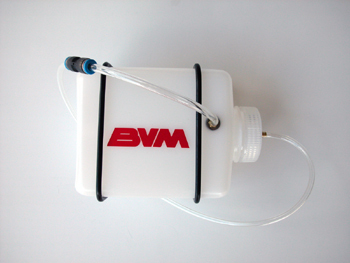 Control the speed of the Fuel Can Motor so as not to over pressurize the tanks, especially when they are nearly full. Allow the Over Flow Tank to fill about half way. 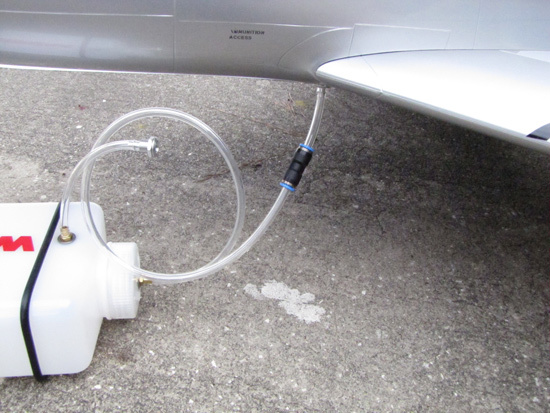 Of course, you may want to set the “Over Flow” Tank on the ground during the fueling cycle and before disconnecting for taxi out.. 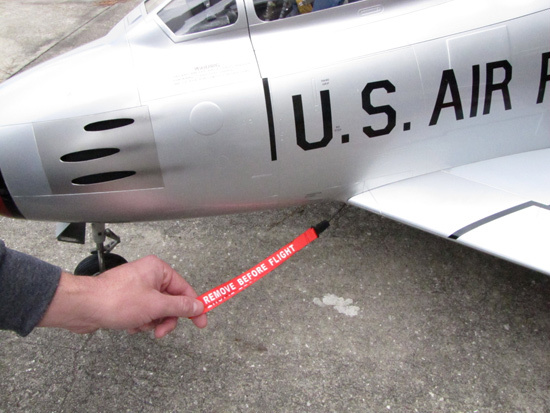 The Flush Mount Plug with Red Ribbon must be removed for fueling, and before engine start. 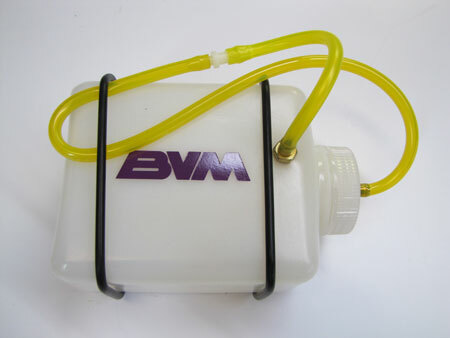 It is handy while transporting the model to prevent accidental fuel spills.